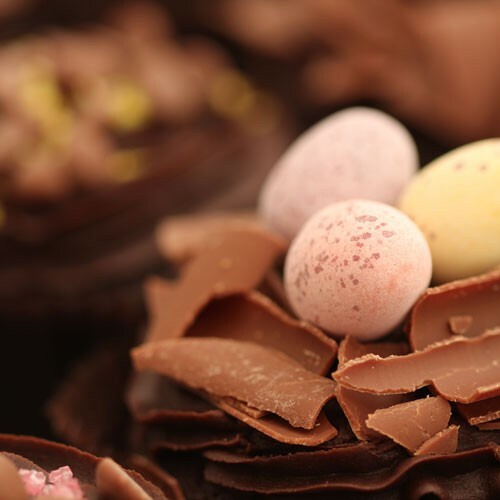 Easter is predominantly a religious occasion but why not bring joy to the annual event and hand out little chocolate cakes decorated with tiny eggs or chocolate chips for that extra chocolatey finish. You will not be disappointed by the taste and texture, both fresh, revitalising and incredibly moreish! Don't stop at one cake, have them by the dozen and watch those little fingers stuff their faces until they can fit no more in their little tiny bellies. 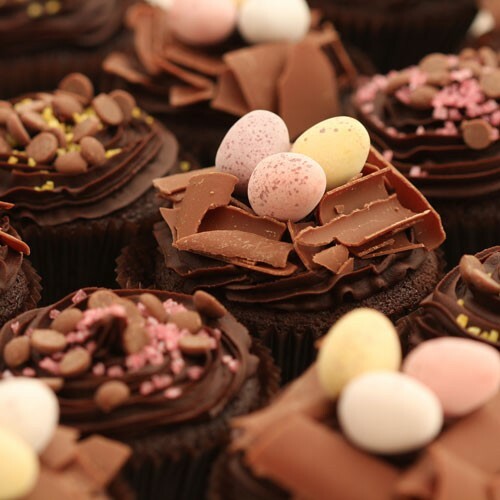 Complete an Easter egg hunt with clues to these wondrous little sponge chocolate cakes. Complete with buttercream frosting and either chocolate chips or mini chocolate eggs, these irresistible treats bring delights to a wondrous occasion. Suitable for all ages, you can tell why these artistic creations are popular among our customers. 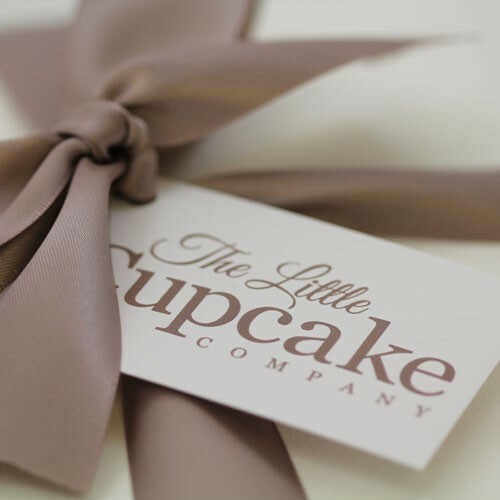 Imagine your little one's faces as they find these delicious little cakes after a glorious hunt; let them indulge for that one day of the year and be wrapped up in chocolate and crumbs!